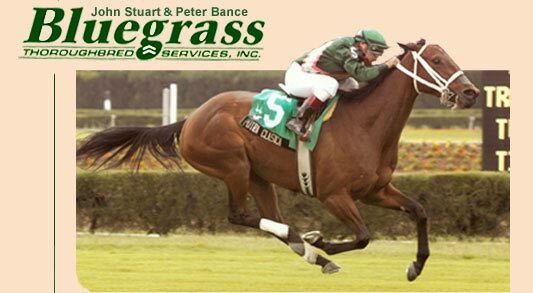 At Bluegrass Thoroughbred Services, we use continuous research and 30 years of experience to assist clients with success in racing, breeding and investing in thoroughbreds. We stress the importance of diversified investing, market timing and risk exposure in helping clients realize their goals and enjoy the great challenges, rewards and excitement the sport has to offer. Through our experience in managing racing stables, investment partnerships and a public sales consignments we're able to assist clients in most every opportunity associated with the sport. We invite all levels of participation from our clients in the management of their horses and we feel it's important that we've remained independent from stud farms, so to provide unbiased opinion regarding breeding and investment opportunities. Let us help you develop an avenue into this great sport, whether it's through your own racing or breeding enterprise or through investment into one of our syndicates. We'll provide you with the peace of mind that your horses are being managed by professionals.